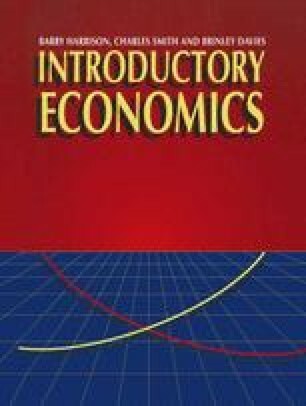 The treatment of monopoly in Chapter 11 follows on from the discussion of economic efficiency in Chapter 10 by comparing the efficiency of monopolies with that of firms under perfect competition. Since a pure monopoly is unlikely to exist in practice, legislation to control monopoly is more likely to be aimed at oligopolies, where a market is dominated by small group of large firms. This market form is discussed in Chapter 13.